Winchester Brass Unprimed 218 Bee Shell Cases. Winchester Brass Unprimed 22-250 Remington Rifle Cases. Winchester Brass Unprimed 220 Swift Rifle Cases. Winchester Brass Unprimed 223 Remington Shell Cases. Winchester Brass Unprimed 257 Roberts Rifle Shell Cases. Winchester Brass Unprimed 270 WIN Rifle Shell Cases. Winchester Brass Unprimed 270 WSM Rifle Shell Cases. Winchester Brass Unprimed 30-30 Winchester Shell Cases. Winchester Brass Unprimed 300 Win Mag Rifle Shell Cases. 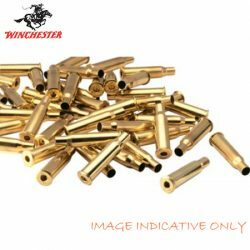 Winchester Brass Unprimed 308 Winchester Shell Cases. Winchester Brass Unprimed 325 WSM Rifle Shell Cases. Winchester Brass Unprimed 338 WIN MAG Rifle Shell Cases. Winchester Brass Unprimed 357 Magnum Handgun Shell Cases. Winchester Brass Unprimed 38 Special Handgun Shell Cases.